Sorry for the blurriness of this pic that we took for The Cat on my Head's Sunday Selfies Blog Hop, but it is meant to look like I took this on my mum's iPhone. In reality, I wasn't going to let my mum use it because I am a cat and like purrfection in all things, but she said it looks great because of the expression on my face. 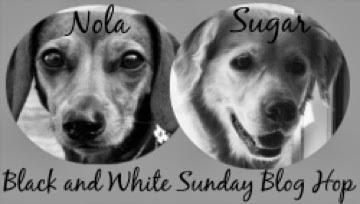 She made it black and white too so it is now part of Sugar and Nola's Black and White Sunday Blog Hop as well. Wishing you all a fantastic Easy Sunday! Every once in a while you get a great photo--great in all ways like composition or expression or just content--and then you see that it's blurry. I have a great one of my cat Calvin like that . You've given me inspiration to post it--blurry and all. BTW, I've taken blurry pix and artified them; sometimes that makes the blur look like it was done on purpose. You look a little surprised in this photo! We think its great, thanks for sharing! Happy BW Sunday! That is sure a great selfie!!! You still look BEAUTIFUL Athena! I hope you are enjoying a relaxing weekend. Looks like someone walked in on your selfie! BOL! Happy b&w Sunday! Meez finks yous look pawsum Athena. Gweat selfie and it looks gweat in black and white too. That's an awesome selfie, Athena!! Happy Sunday! 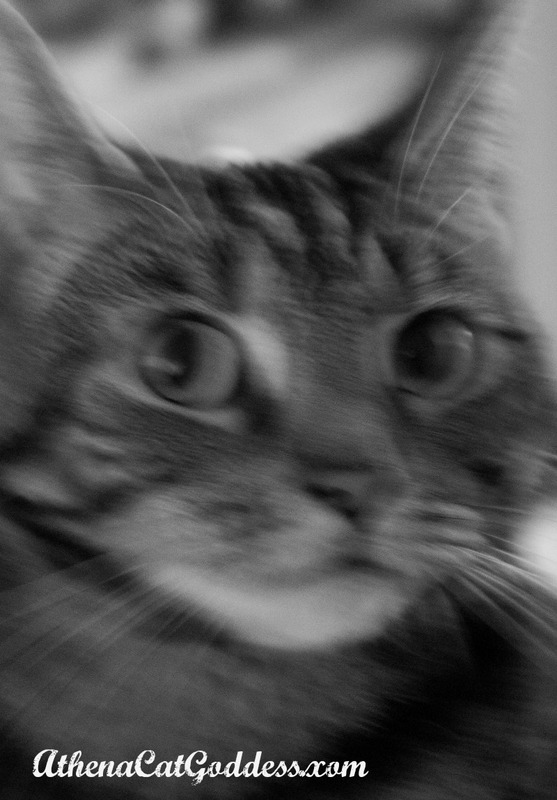 I think the blurriness and your expression make it look arty, Athena - I like it a lot! That is a great photo, but every photo of you is nice. I love how you combined both blog hops. Great shot! Hope your enjoying your weekend! Thank you. We love your Blog Hop! Thank you. I guess I'm just a photogenic cat! doesn't matter if it is blurry, that's how selfies are supposed to be! I think it's a very nice selfies. I've never taken a selfie, I'll have to try. That is an awesome selfie, good job Athena!